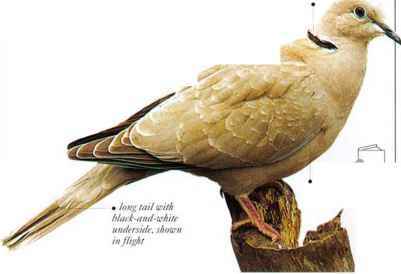 A plain-colored pigeon with a narrow, black collar, this bird can be recognized by its monotonous, three-note call. 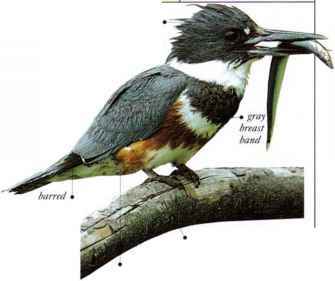 The species occurs in open woodland, farmland, and suburban yards, eating wild seeds, grain, berries, and livestock feed. In its gliding display flight, it shows off the black-and-white pattern underneath its tail. • NEST A flimsy platform of twigs, often in a conifer. • DISTRIBUTION From Europe through the Middle-East, S. and E. Asia, to China and Korea. • REMARK This species has spread across most of Europe from the Balkan region since 1930.